It's been an exciting year for Lola Rae so far - the ‘Watch My Ting Go’ star has been nominated for an NEA Award as ‘Most Promising Female Act to Watch’, she featured on Boj of DRB LasGidi's single ‘Ginger’ and her music video to ‘Watch My Ting Go’ has recently been picked as ‘Video of the Week’ on BET's 106 & Park. Now the British Nigerian pop star features Iyanya on her brand new warm-up track ‘Fi Mi Le’, which we saw the release of just a few minutes ago. 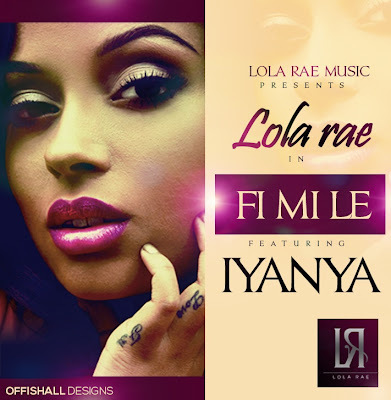 ‘Fi Mi Le’ was produced by P2J who produced Lola Rae's two debut singles ‘Watch My Ting Go’ and ‘High’ and even her forthcoming single ‘I'm A Boss’ featuring Banky W.
Lola Rae gives her fans and supporters just a little snippet of what more they can expect from her throughout the year and new music just in time to kick off the summer. With her video to ‘Watch My Ting Go’ just under half a million views - Lola Rae is definitely the one to watch.